As the 17th century came to a close, whaling was showing no signs that it would slow and whales were being slaughtered in various parts of the world using whatever methods were available at the time. During the 18th and 19th centuries, whaling would see a sharp rise and continue at an alarming rate. While the Europeans and Japanese dominated most of the whaling trade through the 1600’s, American whaling came on to the scene at the very end of of the 17th century. 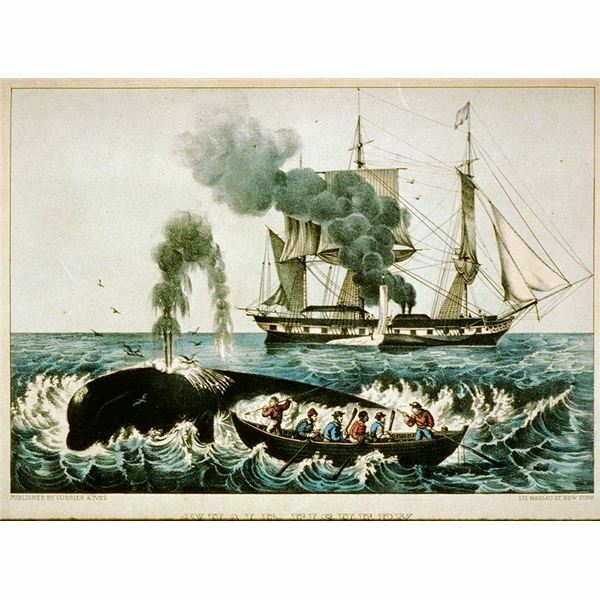 Born off the coast of Long Island, American whaling came into full swing in the 18th century. Whalers would launch a multi-boat attack on whales, mostly right whales. At the time, they were so named because they were deemed to be the “right” whale to hunt due to their easy to spot water spouts and slow movements. Once a whale was surrounded, the whalers would begin their relentless and brutal assault using small hand held harpoons and lances, bombarding the whale until it slowly died. In 1712, American whalers added the sperm whale to its list of victims. Bowhead whales were also targeted by American whaling fleets by the mid 1800’s when the US reached its whaling peak between the years of 1846 and 1852. The late 1800’s saw a decline in American whaling due to a series of events and loss of ships. The American Civil War resulted in a loss of ships as well as other economic and strategic factors that began the steady decline. This was furthered in what is known as the “Whaling Disaster of 1871” in which the American Arctic Fleet lost a total of 33 of their whalers out of the forty they were operating. The “disaster” occurred while the fleet was chasing bowhead whales and the wind patterns changed abruptly, pushing several large ice packs around the fleet, encircling and trapping them. Only 7 of the ships were able to escape; however, of the ships that were lost, all 1,219 crew member managed to escape with their lives. The American whaling industry took another major hit in 1876 when 12 other vessels were lost. Britain, too, was seeing a decline in whaling activity as England struggled with various financial problems. France would make their brief appearance in the world of whaling in the southern seas during the mid to late 1700’s although due to the Anglo-French war, many of the dozen or show ships were lost. French whaling made a bit of a comeback in the mid 1800’s eventually employing 17 whaling ships in its fleet. While the French fleet saw some success in the Gulf of Alaska, they steady and rapid decline of whales made it difficult for them to succeed in northern waters. ll in Norway. 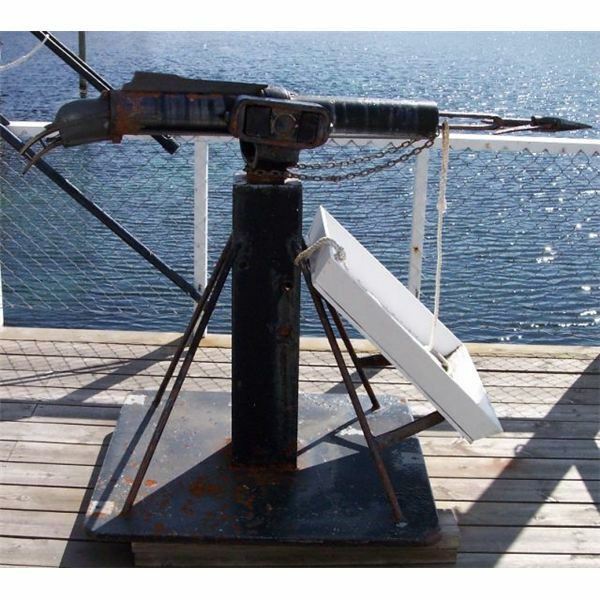 In 1864 Norway would introduce whaling methods and weaponry that would change the face of whaling and give way to the birth of modern whaling with the development of the harpoon gun which would be completed in 1868. Norwegian style hunting employing these deadly harpoons began to spread rapidly, even changing the focus of whaling in Japan by the close of the century. During the 17th and 18th centuries, whales were killed for a variety of products. Their oil was used in lighting lamps and the manufacturing of soap, wool, and leather. It was also often used as cooking oil. The bones and baleens of whales were used for a variety of products including corsets, bustles, and umbrella spokes. Other whale products included candles, perfumes, and lubricants. Few countries, such as Japan actually used any of their whaling exploits for food purposes. This demand for whale products was steadily depleting the world of a variety of whale species and beginning to slow or collapse many whaling industries around the world.